Chrissie Blaze is a London-trained, US-based astrologer whose work spans multiple cultures as a speaker, teacher, author and consultant in astrology. After training at the prestigious Faculty of Astrological Studies in London, she built a private practice with an international clientele. After many years of teaching and lecturing throughout England, she moved her practice to the USA in 1994. As a master consulting astrologer with a multi-layered approach, Chrissie's work combines a strong analytical background together with a well-developed intuition and spiritual perspectives. Her interest in working with karmic and past life patterns emerged after working with clients over many years. She is above all a teacher, who believes that astrology is such a practical, helpful tool that it should be available to more people. Her teaching book on astrology How to Read Your Horoscope in 5 Easy Steps was first published in 2008. 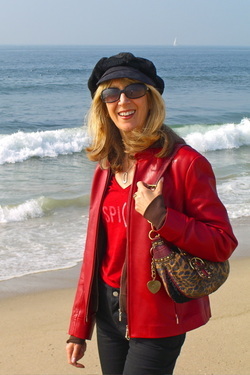 She is also the author of the popular, Mercury Retrograde, as well as Baby Star Signs (published in several languages), Superstar Signs and Karmic Astrology as well as several other metaphysical and spiritual books, including her favorite book that she co-authored with her husband, Gary - Power Prayer. Blaze is also a regular media guest over many years, and a lecturer who trained at the University of London and taught at inner London Colleges. She is available for interview, and as a guest speaker/lecturer. She can be reached via the Contact Page on this website.